Dental emergencies are a common occurrence. You’re outside, working in the yard, when you trip over your son’s bike and knock out a tooth. Or, you’re out to eat with some friends when you go to take a sip of ice water and the pain and sensitivity have you cringing in pain. No matter how it happens, all you want is relief when faced with a dental crisis. To help you handle these types of situations with ease, an emergency dentist in Las Cruces offers some helpful tips to handling common dental emergencies. When faced with a broken, chipped, or cracked tooth, it’s best if you rinse your mouth with warm water. Apply a cold compress to reduce swelling, and if possible, to prevent further damage to your gums and nearby teeth, place wax or gauze around any rough edges. This will protect your mouth until you see your dentist. If you suddenly find yourself sporting the hockey player look, make sure to retrieve the tooth and keep it moist at all times. Holding it only by the crown, rinse the root of the tooth and try to place it back in the vacated socket. If this isn’t possible, place it in a container of milk and get to your dentist’s office as soon as possible, so they can try to save the tooth. When faced with a toothache, first, rinse with warm water to wash away any debris. Then, using dental floss, gently move it between your teeth to remove any food that may be caught. An over-the-counter pain reliever can be taken to reduce the amount of discomfort, but don’t put aspirin on your gums, as it can burn them. If the pain or sensitivity persists for a few days, make an appointment to see your doctor. Biting your lip, tongue, or cheek is never a good feeling. When this happens, clean the injured area gently with water, and use a cold compress to prevent swelling. Sometimes, soft tissue injuries bleed for a while, so place gauze on the area to try and stop the bleeding. Don’t let a dental accident throw you into panic mode. The first thing to remember is to stay calm. While that might be easier said than done, it’s best if you can try to keep a level head when handling these types of situations. 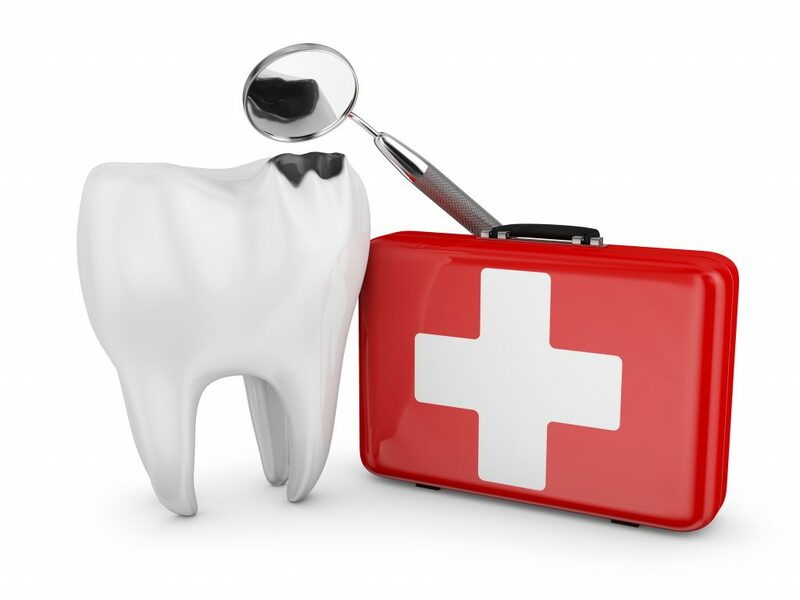 Should a dental emergency occur, make sure to always call your dentist and schedule an appointment. Painted Skies Dental Center offers a comfortable, caring, and cheerful atmosphere. You can enjoy going to the dentist when you come to our office! Not only will we educate you about your health and discuss options with you, but we’ll provide the treatment you feel is right for you. In addition to preventative, restorative, and cosmetic dentistry, we are here for you should you face any type of dental emergency. To learn more, contact us via our website or by calling (575) 233-6648.